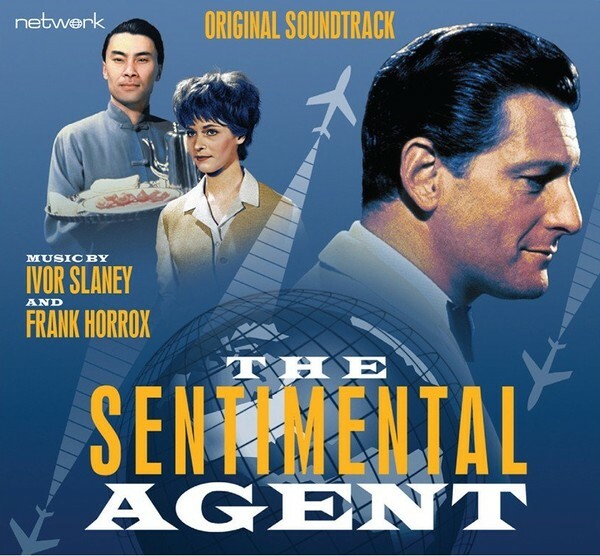 Network presents The Sentimental Agent: Original Soundtrack Ivor Slaney and Frank Horrox's exciting score underlines the romantically whimsical exploits of globe-trotting import-export agent Carlos Varela as he finds himself plunged into a variety of strange and comedic situations. Previously unreleased on CD and compiled from the original analogue master tapes, this release comprises the theme and existing incidental scores for The Sentimental Agent, containing over 150 pieces of music which were especially composed for the series. Ivor Slaney’s exciting score – complemented by Frank Horrox’s jazz melodies – underlines the romantically whimsical exploits of globe-trotting import-export agent Carlos Varela as he finds himself plunged into a variety of strange and comedic situations.